YUM! 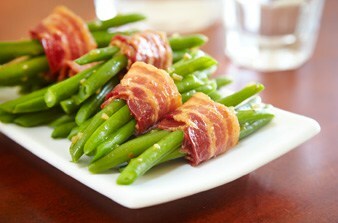 Green beans wrapped in bacon! You can use this same wrapping technique on fresh asparagus, bell pepper strips and even corn on the cob for a delectable spin on appetizers! Pair with a juicy steak, grilled chicken or oven-baked fish. 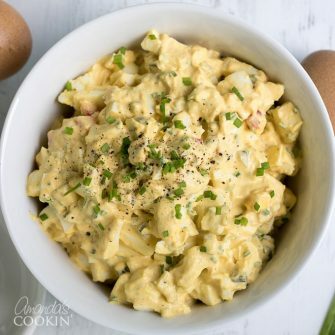 I’m posting over at Homemade Simple today, so come on over to get the how-to tips and the recipe! President at Amanda's Creative Studio, Inc.
Amanda Formaro is the crafty, entrepreneurial mother of four grown children. She loves to bake, cook, make kid's crafts and create decorative items for her home. She is a crafting expert and guru in the kitchen and has appeared online and in print publications many times over the years. She is also a craft book author five times over and product developer as well as the owner of FunFamilyCrafts.com. You can find her on social media by using the buttons to the left!